When I was in first grade, one of my teachers, Mrs. Torbush, opened up my world by introducing me to Shel Silverstein's writings. She had us read through one of his books, "Where The Sidewalk Ends," and come up with our own drawings for it. This book of hilarious, witty and often irreverent poetry sparked something inside me and I went tearing through our school's library looking for more of his stuff. Soon enough I had made my way through "A Light In The Attic," "The Giving Tree" and "A Giraffe and A Half" multiple times. But Shel wasn't only an incredibly talented author, he also wrote some really good songs! He released a number of albums in the 60's and 70's, but other artists took his songs farther than he did. Some of his more notable hits by other people are Dr. Hook and The Medicine Show's version of "The Cover Of The Rolling Stone" and Johnny Cash's version of "A Boy Named Sue." 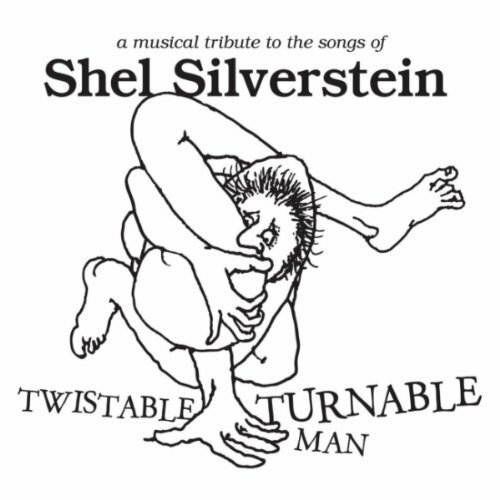 When I first heard that a Shel Silverstein tribute album was in the works, I got really excited. As the artists and song ideas started being thrown around, it just kept getting better and better. By the time I finally got to hear the finished product, I was blown away. Twistable, Turnable Man absolutely lived up to my expectations. It's such a great album filled with humorous lines and incredible musicianship. The album opens with the beautiful country waltz of My Morning Jacket's "Lullabys, Legends and Lies." They also bookend the album by closing with the funny, yet sadly still relevant, "26 Second Song." Legends like John Prine ("This Guitar Is For Sale"), Ray Price ("Me and Jimmy Rogers") and Kris Kristofferson ("The Winner") take turns offering up simple and gorgeous folky renditions of Shel's works. Not to be outdone, the ladies really shine on the album. Lucinda Williams ("The Ballad of Lucy Jordan"), Sarah Jarosz ("Queen of the Silver Dollar") and Nanci Griffith ("The Giving Tree") all deliver stunning performances and add a beautiful layer of melancholy to their songs. In one of the more special moments on the album, Bobby Bare Jr. sings "Daddy What If" with his daughter Isabella, echoing his own childhood performance of the song with his father on Bobby Bare's 1976 album Lullabys, Legends and Lies. Just to make sure no one gets too comfortable with all the acoustic guitars and laid back tempos, The Boxmasters ("Sylvia's Mother"), Dr. Dog ("The Unicorn Song") and Frank Black and Joey Santiago of Pixies ("The Cover of the Rolling Stone") give Shel's songs the plugged in, full band treatment. Without question, this album is one of the most interesting, exciting and true to form tribute albums I have ever heard. 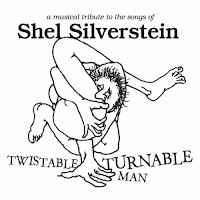 Twistable, Turnable Man will be released on June 8th.